KISS AND MAKE UP (c by More Than Ready (USA)) 2 wins. See below. Paris Match (f by Street Cry (Ire)) 2 wins at 1200m, 1400m, A$152,810, ATC Hyland Race Colours H., 2d Gold Coast Bracelet, L, ATC Swim Between the Flags H., Little Caesars Pizza H., Hyland Race Colours H., 3d ATC John Ramsay H., 4th ATC Adrian Knox S., Gr.3. Walk the Runway (f by All Too Hard) Winner at 1100m in 2018-19 in Aust. Far Afield (f by Medaglia d'Oro (USA)) Placed at 3 in 2018-19 in Aust. Gala Miss (f More Than Ready) Winner at 2, A$96,950, in 2018-19, BRC Lion's Pride Building 2YO H., 4th BRC Calaway Gal S., L.
Keirabella (f More Than Ready) Winner at 1200m in 2018-19 in Aust. FASHIONS AFIELD (f Redoute's Choice) 6 wins. See above. Reef Beach (g Danzero) 8 wins-1 at 2-from 1500m to 2100m, A$206,150, S$115,480, VRC Shamrock Travel H., MRC Le Pine Funeral Services P.H., Singapore TC Zurich S., MRC Kenvain H., St Jude H., Paris H., MVRC Business Network Luncheon H., 2d VRC Auckland Racing Club H., L, Keith Greig H., MRC Greater Dandenong Chamber of Commerce H., Scobie Breasley H., Always There H., 3d VRC Bridie O'Reilly's Punt H., Comedy King H., MRC Brian Green H., Singapore TC Shin Min Cup. IMELDA MARY (f Ferlax) Joint NZ Bloodstock Filly of the Year in 2018-19. 3 wins at 1600m, 2000m, NZ$181,850, in 2018-19, ARC Royal S., Gr.2, Waikato RC Sir Tristram Fillies Classic, Gr.2, 3d Hawkes Bay Lowland S., Gr.2. RUNWAY STAR (f Northern Meteor) 6 wins at 1000m, 1200m, A$386,030, SAJC Proud Miss S., Gr.3, Matrice S., L-twice, ATC Ladbrokes.com.au H., MRC Sportingbet Quick Multis H., 2d ATC Cellarbrations H., VRC Indian Summer H., 3d SAJC RN Irwin S., Gr.3. Twist My Heart (f Dayjur) Winner at 6f, 2d Colonial Downs John Marsh S., L. Producer. Nisa's Machine (c Hussonet) Winner at 1400m, 3d Clairwood Godolphin Barb S., Gr.3, Gatecrasher S., L, Koumantarakis Group Juvenile P.
Race Record: 3 Starts 2-0-0 A$215,025. Kiss And Make Up was, without doubt, a talented two-year-old and put weight to this claim when he demolished his opposition in the G2 ATC Todman Stakes over 1200m. He was the only juvenile to conquer Australian Champion 2YO Capitalist when winning the time-honoured Group 2 at Randwick by two and a half lengths in the lead up to the 2016 Golden Slipper. Only juvenile to defeat Capitalist. Third highest rated two-year-old of his generation. 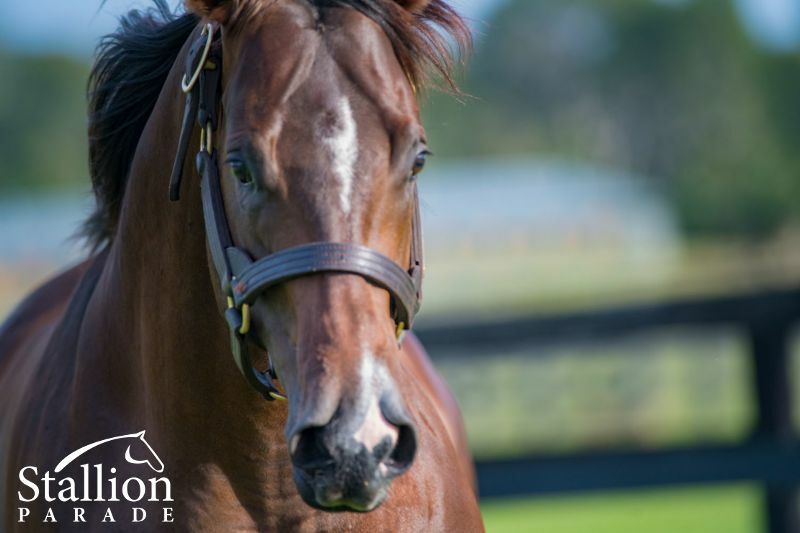 Won the stallion making G2 ATC Todman Stakes, emulating Champion Sires such as LUSKIN STAR, CROWN JESTER, MARAUDING, GENERAL NEDIYM, EXCEED AND EXCEL, WRITTEN TYCOON as well as exciting young sires in SMART MISSILE, PIERRO and VANCOUVER.